Dreams.pk is Pakistan’s leading online leasing website that enables you to get your favorite products to be it electronics, Mobile, Bikes, Smart tv or other such household equipment, on amazing installment plans at the most reasonable prices, as per our categories, you can purchase Mobile phones, Cars, Smart Led, Electronic appliances etc. on very easy online monthly installments. 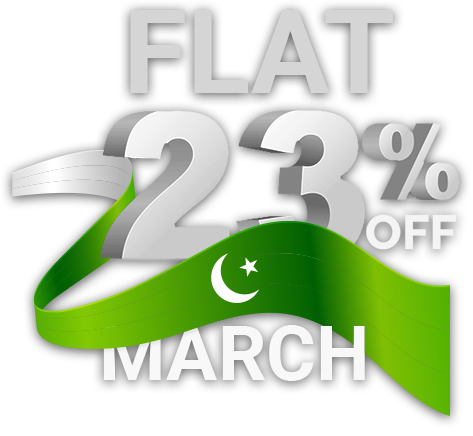 Shopping has become super easy and is also right under your monthly budget now with dreams.pk. You can enjoy Easy Shopping on installment in Pakistan at the ease of your home, sitting wherever you are and getting the best deals in town. The online installment in Pakistan has never been this easy and reachable before. Dreams.pk allows you to buy on monthly installments with zero down payment all your favorite products through a trustworthy channel that you can now buy on monthly installments with zero down payment. LED Smart TV has now become a necessity in all homes and one stays incomplete without them and for this reason, their demand has also increase. But with the introduction of new technology, in these Smart TVs, their prices have increase dramatically and the only option left for people is buying the Smart TV on easy Monthly Installment which has been made a lot safer and easy process by dreams.pk. This wonderful initiative has been taken by Awais Farooq who is also the founder of Pakistan’s first leading online comparison website, Comparebox. Dreams.pk have a vast collection and variety for all categories such as Smart TV, mobile phones, laptops, home appliances, Tablets and a lot more, from almost all famous and popular brands sold and purchase in Pakistan. You say the brand and dreams.pk will have it. No matter what the brand or model is, dreams.pk has a vast variety and collection from bigger multinational brands to smaller local brands as well as all particular models for whether you’re looking for a mobile phone, laptop or Smart Tv on Installment with zero down payment in Pakistan, all you need to do is select your desire product and choose an installment plan regarding your budget, your Smart TV price and you are all good to get it coming your way. Dreams.pk is one of those very few successful online stores that allows all the consumer of Pakistan to buy their desire products both on installment and cash as per their convenience and budget. This online retailing website offers different very affordable and flexible plans for Smart TV on installment in Pakistan of different brands that are readily available for the local Pakistani customers. Smart TV brands available on dreams.pk include Sony, Samsung Led, LG, Haier, TCL, Orient, Chang Hong Ruba and many more. This means that now anyone can purchase any of their desire things like any Smart TV on installment on the easy and safe lease which was not available before. This way purchase of Smart TV on installment has become much more convenient and helpful for everyone. The Smart TV rather is a Samsung, Sony or a TCL, all the best and most advance and expensive Smart TV are now easily available to all our customers through our website as dreams.pk offers flexible installment plans according to your down payment or whether you choose to make zero down payment, to get your product on lease in a very easy and effortless manner. You can even get an installment Smart TV without interest. Here on this website you can get Smart TV on installment in Pakistan and a lot of other home appliances that you have always dream of to get for your home but can never save enough to make a direct purchase, this website will be a lifesaver, it will put your home requirements and savings to the best use by these wonderful installment plans. A vast majority of customers in Pakistan believe that the products they buy on lease or cash from different online stores are not always very good quality, they’re either a compromise on quality or are not original, whereas Dreams.pk makes sure that this is not the case. We have direct contacts and deals with the official dealers of all the top brands that deal with electronics, smartphone on installment and other various home appliances, which will assure our customers to get the original and genuine products both on cash as well as on monthly lease with official warranties for the satisfaction of our customers. Now in this time, we have a lot of expensive as well as affordable new Smart TV on our Pakistani market. For the ease of customers companies like TCL, Chang Hong Ruba, Orient and Nova have introduce a lot of Smart TV models with different specs which are in accordance with almost all of their customers but this makes finding your choice of Smart TV very difficult, so are you tire of going all over the markets to find your suitable rates or deals, can’t take out time to visit those crowd local stores or markets to buy your favorite and latest Smart TV on installments and are unable to find your favorite gadget or product anywhere? Stop your search right here, because the solution to your problems is definitely dreamed .pk as it is the best Smart TV installments website in Pakistan. Hence by the Smart TV online on installments through the best Smart TV installment’s website in Pakistan. Moreover, our website also has the most expensive Smart TV like the Sony Bravia, Samsung, and LG which are worldwide brands. These Smart tvs have all the latest technology with curve screens with 4k resolution but these things make these LEDs rare and very expensive. Hence, for this reason, people avoid local dealers with no warranty as they can be a fraud and can unsuitable installments, for this reason, our website dreams.pk is the best option for Smart TV on installment as it is very safe and deals with only original products keeping our customers safe from frauds.